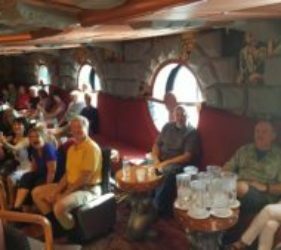 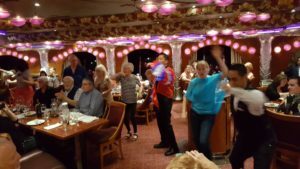 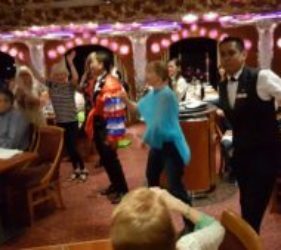 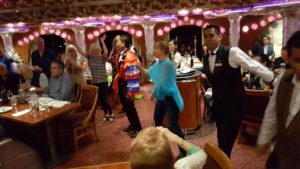 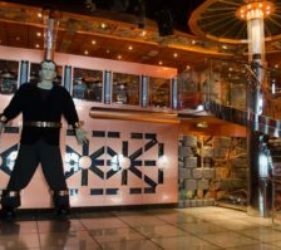 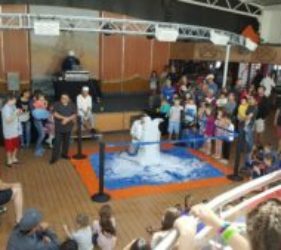 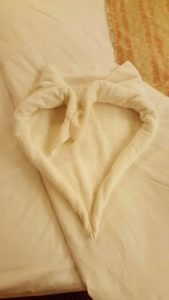 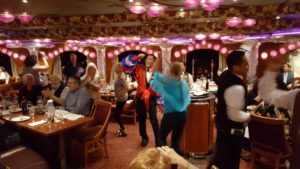 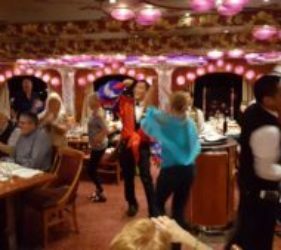 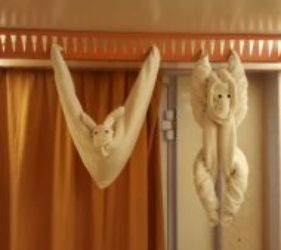 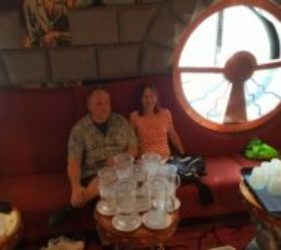 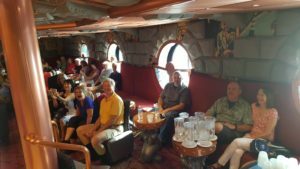 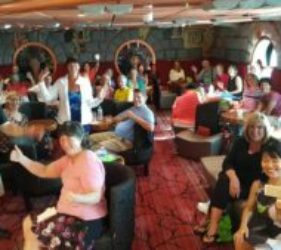 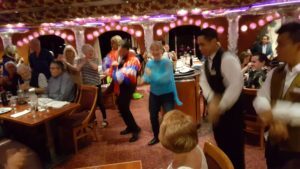 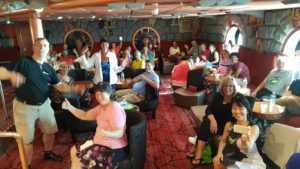 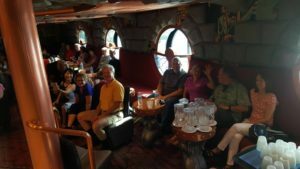 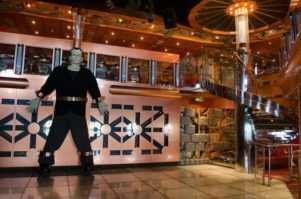 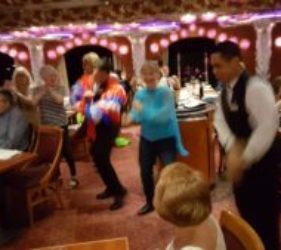 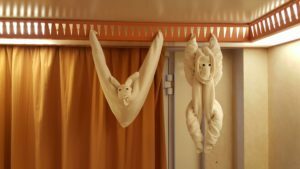 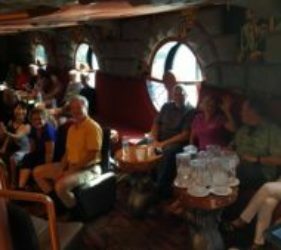 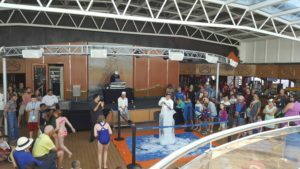 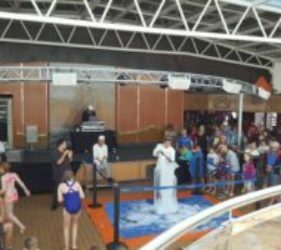 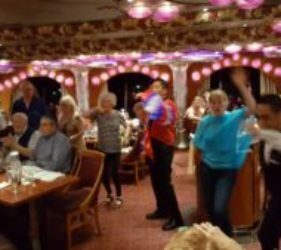 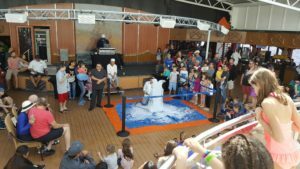 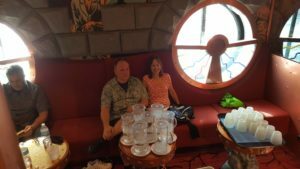 Our Mexican Riviera Dance Cruise 2017 DAY 7 was February 24, 2017 at Sea. 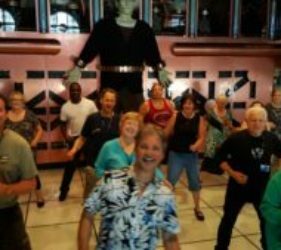 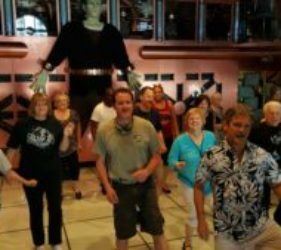 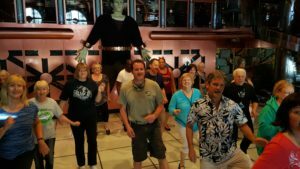 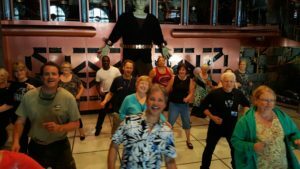 While we were Cruising At Sea we had our fun dance classes in the Frankenstein’s Lab. 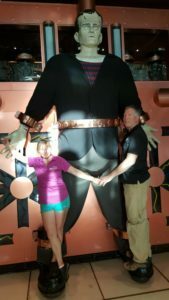 We captured a few pictures. 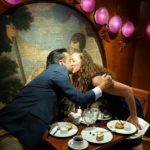 We also had fun at dinner that night and we got a few photos then as well. 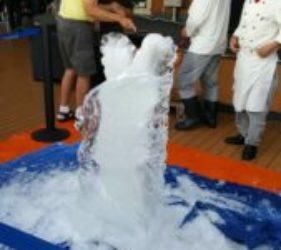 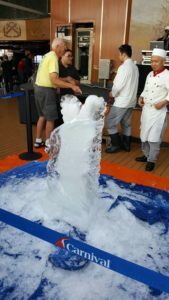 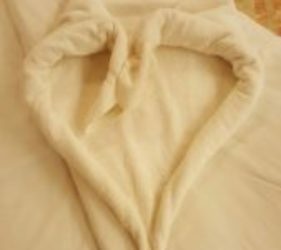 There was Ice Carving on the deck and dancing at dinner along with our Newly Weds in the corner.